Eating Healthy doesn't have to be expensive. I like to think of it this way. . . do you want your body to feel cheap? Then don't by cheap foods. But also- you don't have to fork out a lot of money to eat healthy. I feed a family of 5 for $100/week, sometimes less- and yes this includes everything- even non-food items- EVEN diapers! Buy fruits & veggies in season- when I make my meal plan, I look at those that are on sale and just buy those. Buy meat on sale and have some meals that don't use meat. Shop the perimeter of the store. Get your produce, dairy, meat, healthy fats and healthy whole grains on the perimeter of the store. That is where you will find most healthy food items. Don't buy convenient foods. Make ahead your snacks before the week starts and before you go out anywhere if you will be gone for a long time or during meal & snack time. Don't buy processed foods in boxes. More than likely they are not healthy for you. Try a couple of these ideas that you currently are not doing and see if it helps you in your budget in a week. Eating those foods that fuel your body doesn't have to be expensive. 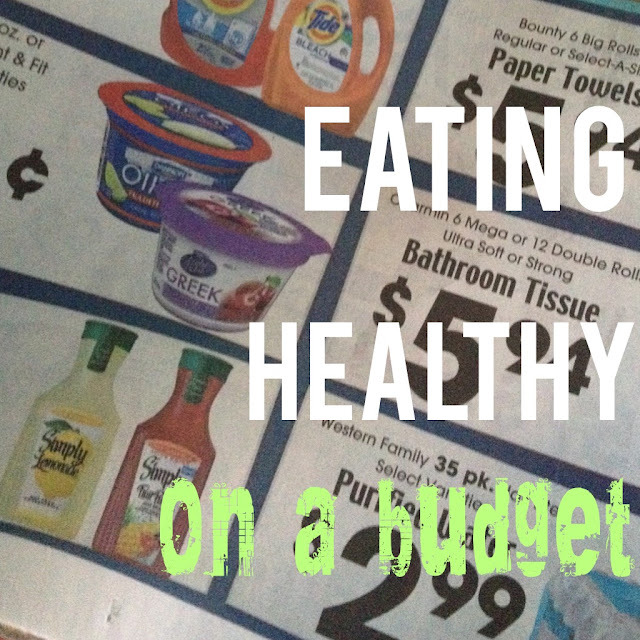 You will be surprised at what you can save money on when you take the time to plan out your meals. It really doesn't take that long. Stock up when healthy foods are on sale. This will help a lot too!